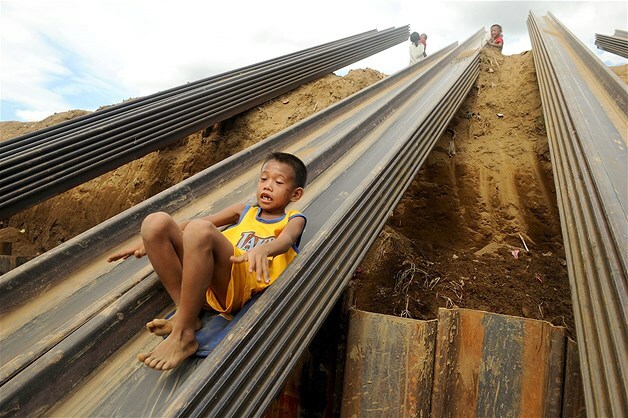 A boy slides down a metal beam in Manila, Philippines, on April 23. According to new census data, the Philippines has failed to make headway in cutting rampant poverty, with more than one in four citizens deemed poor despite the country’s economic growth. However, seeing children play is a good sign for the country’s overall well being of its citizens, since play tends not to occur unless all essential needs have been met (food, shelter, safety).